cap is up to 8 cm broad, light gray or gray-brown with furrow-lines radiating to the edges. gills are nearly free from the stem and white/grey when young. the flesh and gills of older specimens liquefies into a black inky mass when old. partial veil leaves an inferior, fibrous ring on the white stem. grows in tight clusters in grass or on wood debris. tip: collect younger specimens and/or remove blackening areas which have a more bitter taste. tip: cooking with water shortly after collecting helps to prevent the dish from turning into a black inky mess. warning: causes a reaction of hot flushing and nausea if consumed with or followed by alcohol. 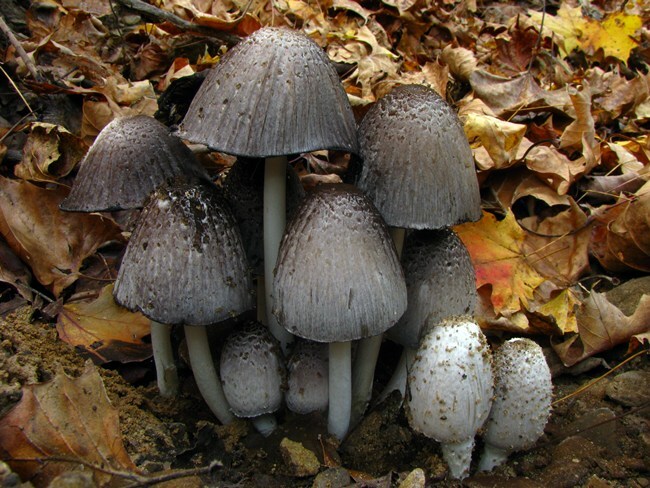 Do not consume this mushroom unless abstaining from alcohol.